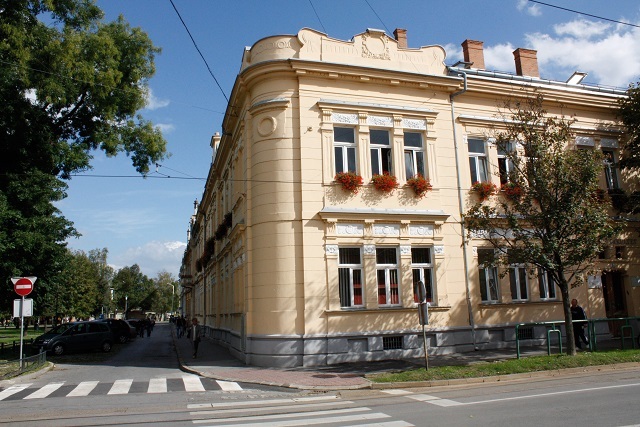 The Faculty of Law in Osijek was founded on the 10th of September 1975, and it is one of the oldest higher education institutions within the Josip Juraj Strossmayer University of Osijek. Today the Faculty of Law in Osijek employs 59 teachers and assistants which take part in conducting its curricula’s and research activities. New integrated university legal studies undergraduate programme has been developed in accordance with the so-called Bologna process, and is implemented since 2005. This study programme incorporates and brings into equilibrium all necessary theoretical and practical contents without which legal practice would be inconceivable in conditions of globalisation and European integration, paying attention to a reasonable workload of teachers and students during programme implementation. Besides Integrated Undergraduate and Graduate University Studies the Faculty of Law in Osijek conducts Postgraduate Specialist Studies in Human Rights Law; Criminal Law; and Management of the Local and Regional Self Government Development, as well as Specialist Studies in Public Administration. In 2014 Faculty of Law launched its Postgraduate Doctor's Studies in Law. Since its foundation the Faculty of Law in Osijek held numerous scientific projects. Previously they were mainly granted and financed by Croatian Ministry of Science, whereas recently Faculty of Law in Osijek acts as a project partner in many EU funded projects. Currently two Jean Monnet Chairs were approved and several project proposals have been submitted. Since its foundation, the Faculty of Law is located in the premises of the Jewish Community, a Secession building built in the year 1900. In the meantime, it has also expanded to the neighbouring building at 17 Stjepana Radica Street. Recently project documentation for new building facility, which is to be situated within University Campus, has been submitted. A great number of Croatian judges, attorneys, state attorneys, university professors, Croatian Constitutional Court judges, diplomats, members of the Croatian Parliament and Government, politicians, individuals working in civil society organisations, social welfare systems, pension and health care systems, insurance companies, respectable Croatian and foreign companies, economy, international organisations, as well as academic and scientific institutions abroad have obtained their degrees from the Faculty of Law, Josip Juraj Strossmayer University of Osijek. Their work and results they have achieved in the last nearly 40 years have entirely justified foundation of the Faculty.